Many clients hear the word “branding” and automatically think “logo”, but believe it or not, there is a difference between the two. A logo pinpoints a business in its most straightforward form via the use of a mark or icon. The creation of an emotional corporate image that is seen as a whole. We design effective, artistic logos. It’s both an art and a science—an artistic science, if you will. 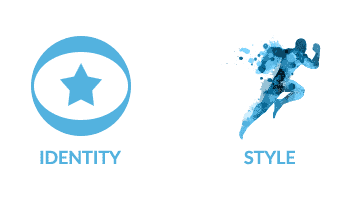 We balance your company identity with style. There is so much more to meaningful branding than just having a logo. Our team will consult with you to lay out a definitive and comprehensive brand. This reinforces the core principles and image of your company.